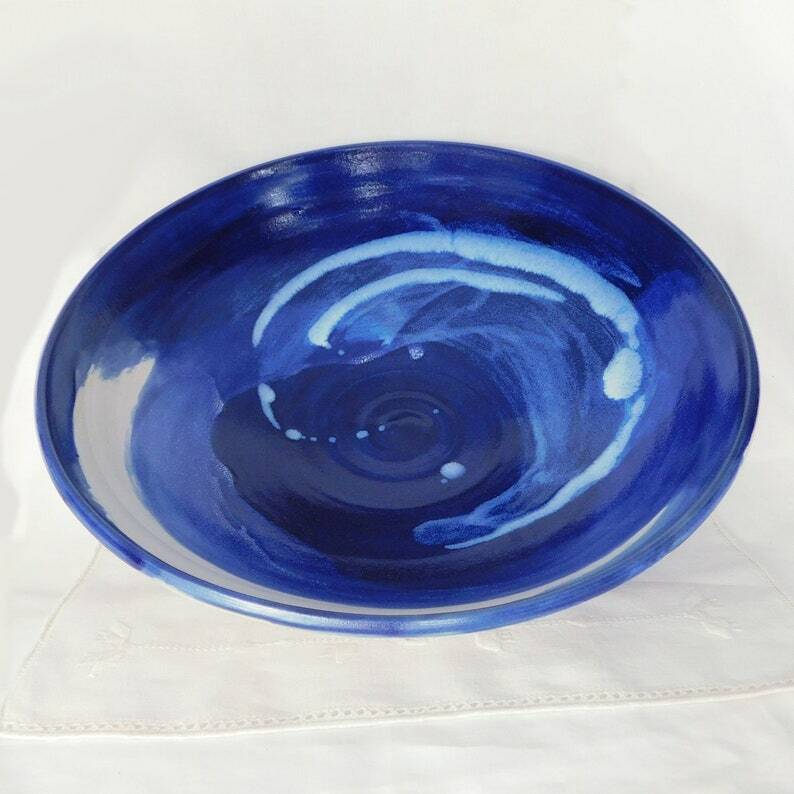 Bold stokes of white swirl inside of a cobalt blue interior in this dramatic focal point bowl. Hand thrown of a dense, white porcelain its wide, low profile makes it ideal for display on a coffee table or as a centerpiece holding fruit on a dining table. The bowl measures 14" (35.5 cm) in diameter and 3.5"(8.8 cm) in height. 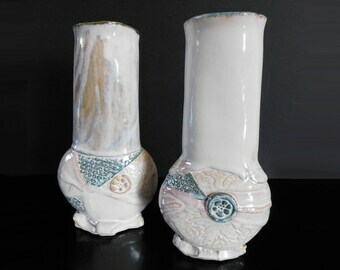 Since it is high fire porcelain it is food safe and dishwasher proof.